We are committed diving enthusiasts! Our team can provide an unforgettable diving experience in the incredible dive sites around Isla Mujeres. 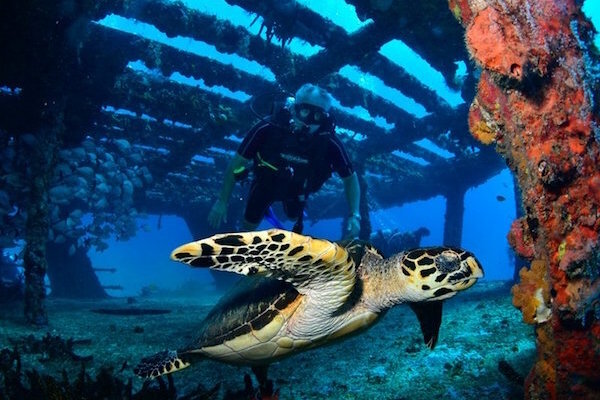 Ship wrecks and drift dives, out team will take you to breathtaking locations for an adventure of a lifetime! 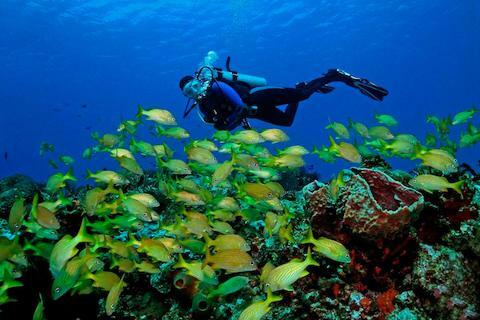 Experience adventures in diving! 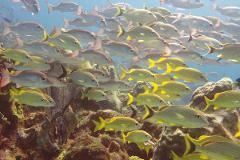 Explore Isla Mujeres shipwrecks, its numerous drift dives and colorful reefs. 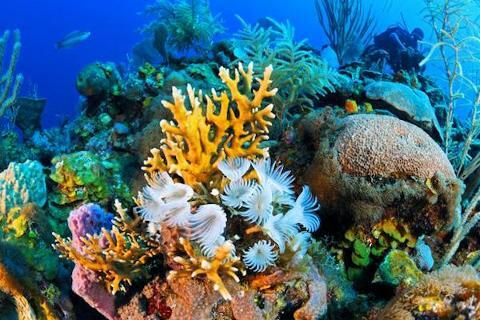 Enjoy the lively underwater world with its many turtles, eaglerays, reef sharks, barracuda and many more. Isla Mujeres offers exciting dives to deeper and adventurous sites, come and explore the C-58 or C-55 shipwrecks. The dive sites are within few minutes close to Isla Mujeres and while you drive along with our boats we offer an opportunity to enjoy the turquoise water and incredible view of Isla Mujeres. You will be accompanied by our PADI certified staff to these advanced locations. From January to March, join us and encounter the schools of eagle rays that migrate through this area of Mexico. The south point of the island offers a unique drift dive that can be done throughout the year. At this dive site, you may come across large barracudas, dolphins, reef sharks and rays. Turtle mating season is a must see from May to August. Punta Negra is another drift dive where current reaches 3 to 4 knots speed and carries you throughout a beautiful reef witch holds a large number of species including turtles, angel fish, lobsters, sting rays between others. All dive sites do not exceed 28m/82ft, for more information on the specifics of diving in Isla Mujeres, you may consult our website. IMPORTANT: We are at the mercy of sea and weather conditions as well as diving may be challenging for some people, locations may vary based on weather conditions and visibility. We highly recommend to stay at least two days on the island for a better weather window. 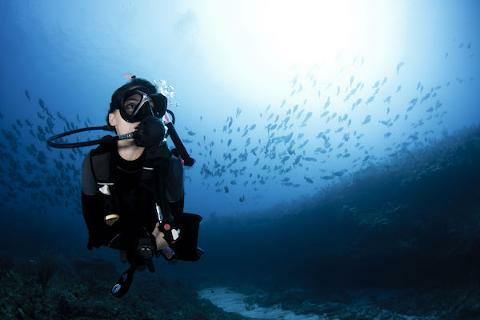 EQUIPMENT: All dive equipment is included in the price, however this does not include dive computer. There is a $10 USD discount if you provide your own BCD and Regulator.